Driving 20 penny nails through a 2½ inch board with his bare hands. Lying on a bed of nails while supporting a 14-man Dixieland band on his chest. Changing a tire on a car without any tools. Breaking as many as three chains by chest expansion. 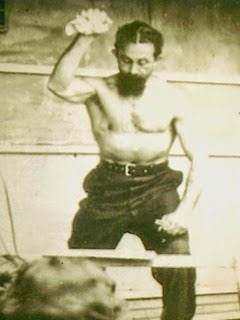 Bending an iron bar or horseshoe by holding one end with his teeth while one end of the bar was held fixed in a vise. Bending half-inch steel bars with his hair. Biting nails in half with his teeth (he could perform this feat with a 25-cent coin). Resisting the pull of an airplane with his hair. This feat was performed at the Buffalo Airport and was documented in the Buffalo Evening Times on September 29, 1928. Functional Strength Systems and the contributors to FSS's website are not engaged in rendering medical advice, and the contents of FSS's website are not intended to take the place of such advice. Please consult a physician or physical therapist before using any of the information, advice or any of the services on our website. This includes all resources on this website. 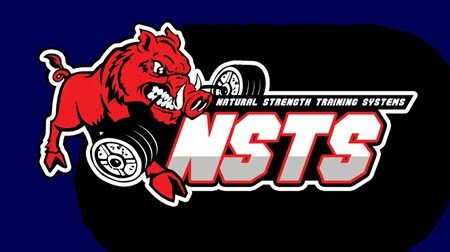 COPYRIGHT FUNCTIONAL STRENGTH SYSTEMS............................................................... Awesome Inc. theme. Powered by Blogger.